You don’t want to waste all of your money at the pump at an Estelle, LA, gas station, do you? Of course not! That’s why you need to read up on the best fuel economy tips for your luxury sedan. By using less gas, you’ll be saving a lot of money every month. But even more important than that is the fact that you’re going to be doing your part to help the environment. The less fuel you burn, the better it is for Mother Earth. Read to save your money and save the planet? Read up on these tips. Being an aggressive driver is one of the easiest ways to start spending more money on gas than you need to. When you are using your gas pedal a lot, you are using up more gas. This becomes a problem if you drive too fast or accelerate too quickly. On top of that, it makes you a more dangerous driver. You don’t want to get into an accident in Estelle, LA, so take it easy while you’re on the road. It’s a straightforward way to save money and stay safer. This sounds like a simple idea, but you have to get places, right? Of course. But when you want to save some gas money, you can cut down on how much you use your car and simply find other forms of transportation instead. Walking and biking are both easy and inexpensive ways to cut down on how much gas you spend. Even taking public transportation is a viable option. Just don’t think you have to drive everywhere you go in Estelle, LA. Did you know that there is an app that can help you find the most affordable gas stations in Estelle, LA? It’s called GasBuddy, and it can save you a ton of money on gas prices. This may not actually help your fuel economy, but it can encourage you to pay attention to your gas usage more closely, which is always a good thing. With these tips, you’ll be ready to hit the road in no time. Need a new fuel-efficient vehicle for all your drives in and around Estelle, LA? 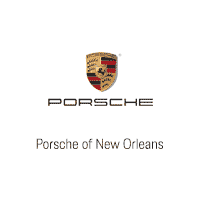 Come to Ray Brandt Porsche and pick yourself up a brand-new ride with great gas mileage.